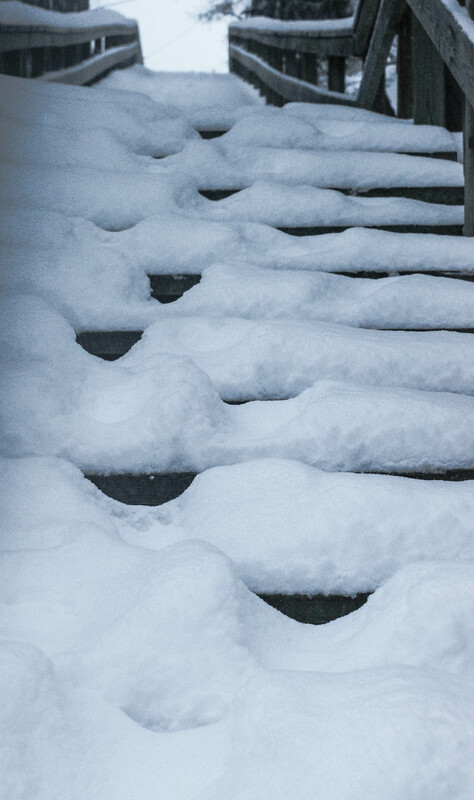 January 2018 in Edmonton was not very snowy but finally in the last week around 15cm fell. This snow freshened up the landscape, smoothed out the bumps of ice on the river, and inspired me to get out and explore (especially down by the river). Here it is, the end of February. Even though its been a mild winter in Edmonton, spring can’t come soon enough. Although there are another 3 weeks until the equinox and being Edmonton I wouldn’t rule out a major snowfall until, say mid-May, the changes in the last week are encouraging: the snow is receding and grass is showing, sidewalks are drying, the river ice is getting soft and melt water is running down the streets. It was early morning, just before sunrise, but with the heavy overcast sky and light snow falling how would you know?. 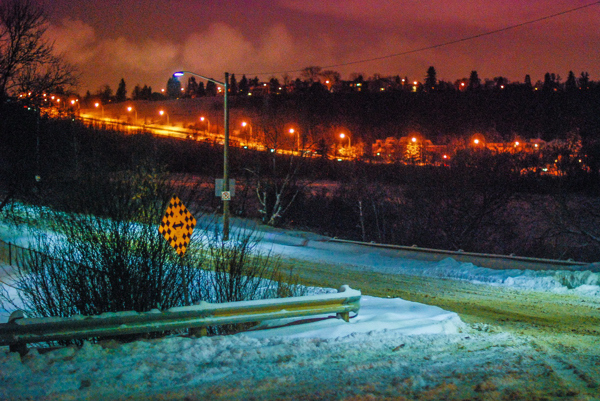 Overnight, this part of Edmonton had 5 to 10 cm of the lightest, fluffiest snow you can imagine. For a few hours we were living in a winter wonderland. By evening the City was still moving slowly, but with some road plowing done condition were better than they had been earlier. “Clearing the Rink” – blowing the snow off of the Riverdale Community skating rink.